The McCarthy & Stone website has achieved a ‘Best in Class’ award in the Building and Construction category in the Interactive Media Awards (IMAs), scoring an overall score of 489 points out of a possible 500 points. In order to receive a ‘Best in Class’ award, we had to score more than 480 points, so this is a great achievement for everyone involved. 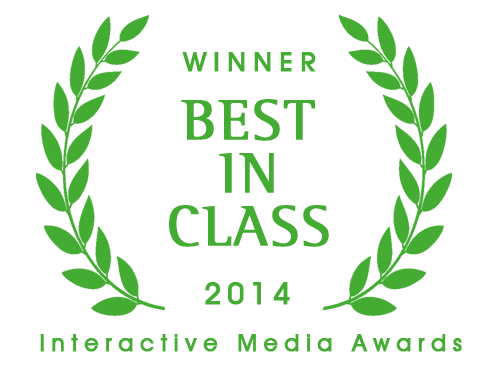 The award is the highest honour bestowed by the Interactive Media Awards. It represents the very best in planning, execution and overall professionalism. To win this award level, the McCarthy & Stone site had to successfully pass through a rigorous judging process, achieving very high marks in each of their categories (Design, Content, Feature Functionality, Usability and Standards Compliance) – an achievement only a fraction of sites in the competition earn each year. McCarthy & Stone are best known as the UK’s leading retirement property developer, having built 45,000 apartments nationwide for the over 55s since starting out in 1977. The company currently provides 70 per cent of the UK’s owner-occupied retirement and Assisted Living accommodation. We have worked with McCarthy & Stone since 2012, where we delivered their new website. Fast forward two years later, and we redefined their two product types so they are clearly discernible and identifiable as separate products by redesigning their website. We also added a new search function which has provided a more responsive interface for users with a large impact on performance and usability. The project has involved a lot of hard work from all corners of the agency, so we couldn’t be more proud to see it achieve this kind of recognition.